Leoria Elliott (nee Gibson), age 91, of Gate City, Virginia; beloved wife of the late Fred E. Elliott who passed away in October 1992; loving mother of Connie E. Elliott (Monica), Charles Michael Elliott (Beverly), and the late Wendell Elliott (Mary Ann); dear grandmother of James, Roy, Thomas, Mary Ellen, April, Erin, Maranda (deceased), Mark (deceased), Michael, and Micheal; great-grandmother of 13, and great-great-grandmother of 2; preceded in death by 8 siblings. 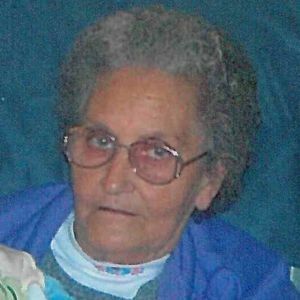 Leoria passed away on Sunday, March 31, 2019 in Parma, Ohio. The family will receive friends at the BUSCH FUNERAL HOME, 7501 Ridge Road, Parma, from 5:00 P.M. to 8:00 P.M. on Thursday, April 4, 2019. Funeral service and burial will take place in Gate City, Virginia. The Gate City Funeral Home is serving the family in Virginia. Add your thoughts, prayers or a condolence to Leoria's guestbook. Please enhance this tribute to Leoria Elliott by adding your memories and photos.